In the 1970s, the most sports-oriented motorcyclists used to modify their road bikes according to what they saw on the track, including clip-ons handlebars, rear set footrests and aggressive colours. The aim was not just to make your bike look better but to enhance its performance too. And that’s how the CafÃ© Racer style came into being. 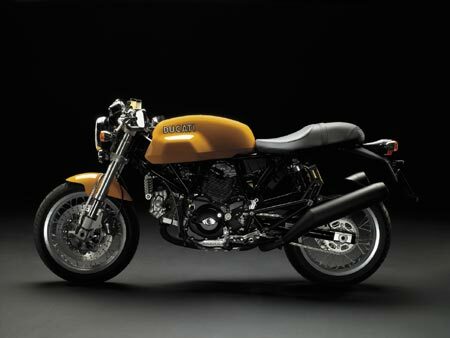 The Ducati Sport 1000 elegantly captures the audacious look of the motorcycles of that era. This year, as well as the single-seat version, the SportClassic stable includes the new Sport 1000 biposto, a two-seater which features a comfortable double seat, raised clip-ons to make the riding position even more comfortable and retro style twin rear shocks. 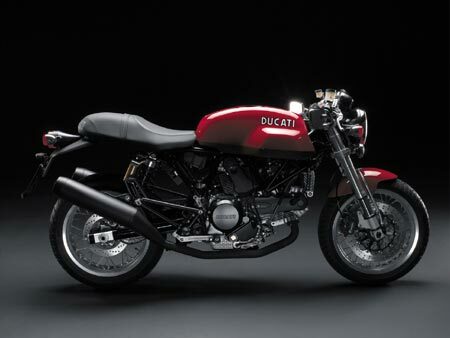 The removable passenger seat-cover, colour-matched with the bike, keeps the Sport 1000 biposto true CafÃ© Racer looks intact, but take it off and you’ll find a comfortable pillion seat underneath. 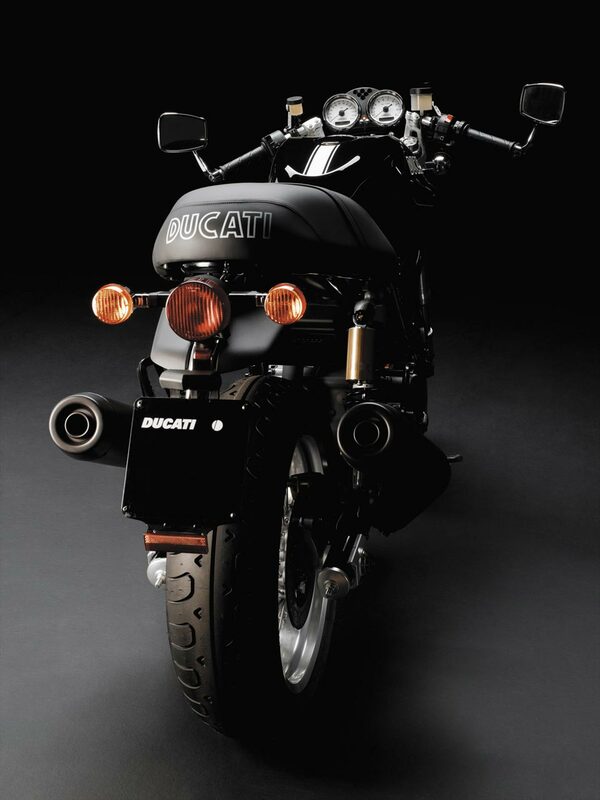 The two-seater version of the Sport 1000 embodies the same high quality and advanced technology as its single-seat counterpart. Mounting high-performance Marzocchi 43 mm upside down forks up front, twin Sachs shock rear suspension which are fully adjustable for spring pre-load, and compression and rebound damping. The two rear shocks are fixed at the bottom to an oversize 60 mm diameter tubular steel swingarm, which features a simple, rational system (reminiscent of the one used on the 1970s bikes) for adjusting chain tension. 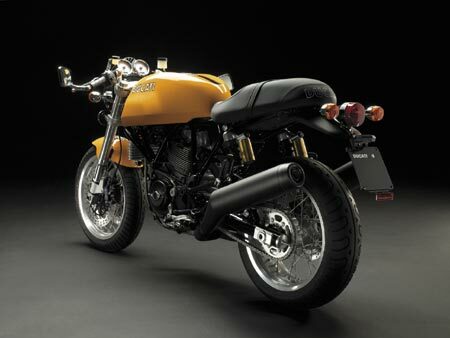 Lastly, there’s a new exhaust system (Euro 3) culminating in two symmetrical silencers on the right and left of the bike. 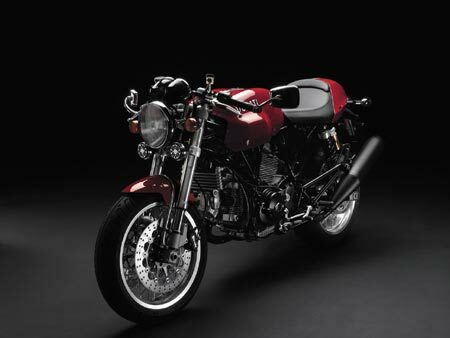 The special colour combinations put the distinctive finishing touches to this bike. The Sport 1000 two-seater is available in three different colours, featuring the characteristic longitudinal stripe down the middle of the fuel tank and tail section. 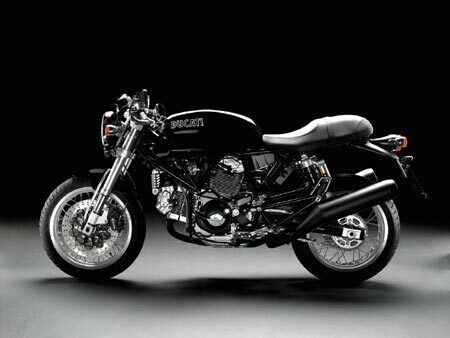 The colours available for this model are: Burnt yellow with black stripe, Gloss black with white stripe and Ducati Red with white stripe, all three with a black frame.